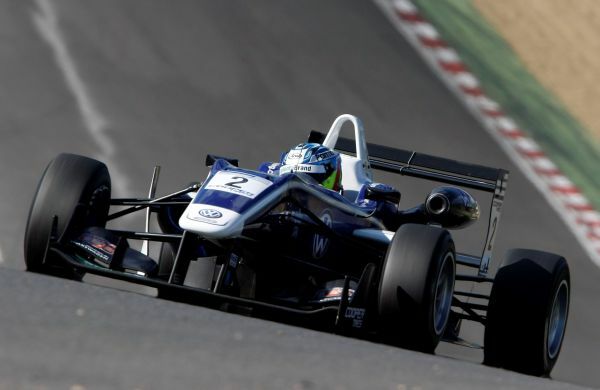 Jordan King has ensured that he will go into the 2013 British Formula Three International Series season finale as the man to beat in the chase for the coveted crown, after storming into the championship lead following a consistently strong showing in the penultimate meeting at Brands Hatch. King headed to the legendary Brands Hatch GP Circuit trailing arch-rival Will Buller in the title standings by 21 points – and firmly focussed on substantially reducing that deficit. Dominating Friday practice sent out an early signal of intent. “We knew we needed to make inroads into Buller’s advantage,” acknowledged the talented young Warwickshire ace. “That was our main goal for the weekend, and I felt positive we could take some good points out of him because I had the car underneath me and we’ve generally had the measure of him this year in terms of raw speed. After posting an impressive early benchmark straight out-of-the-box, King paced the field for much of the qualifying session, but he was unable to extract the same performance out of his second set of tyres and consequently found himself narrowly pipped to pole position by guesting team-mate Jazeman Jaafar, a driver with three years of F3 experience under his belt and the 2012 championship runner-up. Whilst that was evidently a source of disappointment and meant the highly-rated Stoneleigh-based hotshot would begin races one and three from the outside of the front row of the grid in his Carlin-prepared, Volkswagen-powered Dallara single-seater, more significantly, he was five spots in front of Buller – and the best part of a second faster. “I got a good start in race one and pulled alongside Jaz, but he defended quite aggressively into the first corner so I had to back out of it,” he related. “After that, I stuck to his tail and stayed within a couple of car-lengths of him for practically the whole race, but I could never quite get near enough to launch an attack. Keeping Jaafar honest throughout and taking the chequered flag less than half-a-second shy of victory, his frustrated efforts to find a way past were symptomatic of a tight-and-twisty circuit around which it is famously difficult to overtake in the absence of a mistake from the driver ahead or a sizeable speed differential. Still, the runner-up spoils represented very useful points indeed towards the championship – particularly with Buller managing no better than sixth – and race two yielded an extremely solid fourth place from seventh on the reversed grid. The third and final outing would subsequently concretise King’s extraordinary transformation from leading F3 rookie to champion-in-waiting. Snaring the extra point on offer for fastest lap, King’s second podium finish of the weekend and sixth from nine career British F3 races enabled him to vault from 21 points in arrears of Buller to ten points clear, retaining his composure magnificently as his chief competitor endured an error-strewn weekend. There is just one meeting remaining now – a high-stakes title showdown at the iconic Nürburgring in Germany in late September – and three drivers are realistically still in the hunt for glory. One of them will join the likes of Jim Clark, Sir Jackie Stewart and Ayrton Senna in seeing their name engraved upon one of the most prestigious trophies in international motorsport – and the 19-year-old Hugo Boss brand ambassador is determined that it will be him. 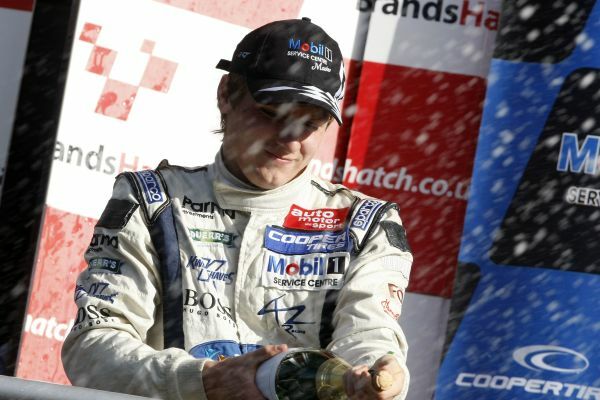 “Brands Hatch was a very satisfying weekend,” King concluded. “Our pace was pleasing, and the outcome certainly exceeded our expectations. This is the first time I’ve led the championship and I’m definitely happier going into the last round holding the upper hand, but it will be vital to maintain our current momentum at the Nürburgring and not take any unnecessary risks.